I saw this posted on Citizen Rain by Cory Bergman. 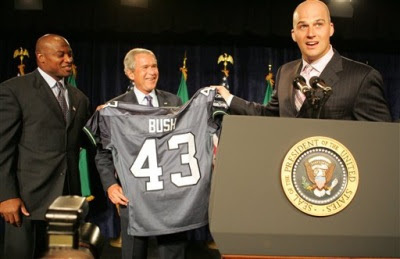 Mack Strong and Matt Hasselbeck present the Commander in Chief with a jersey. Though, I think he'll be cut by the time the regular season starts.